These businesses located in Ashbourne, Mayfield and surrounding villages either advertise in our parish magazine or been recommended. If you would like to nominate or review a local business please fill in the form below. Available for hire for children's parties, adult learning classes, craft groups and local events. Very reasonable rates. On Church Lane near the church. Phone Pat on 01335 344472. Ideal venue for children's parties and great meeting place for clubs and groups. For more information or to book contact Charles Wimbush on 01335 324083. All types of functions large or small. Off Conygree Lane. Contact Maureen the Booking Secretary on 01335 344277. Not only a large hall suitable for wedding receptions and large functions, but also a smaller room accommodating around 25 people. Large function room suitable for wedding receptions and parties. With its own bar it can seat comfortably 100 guests for private dining or weddings and up to 200 in a more informal setting. They can also add a marquee in the gardens with outdoor drinks receptions. Telephone 01335 300090. Just over the River Dove from Mayfield. Good bar and restaurant food, friendly bar staff and let dogs into the bar area. Telephone: 01335 300090. 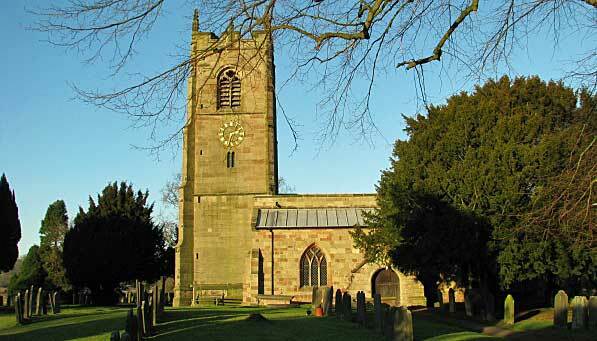 Wedding flowers, funeral tributes, bouquets and arrangements. Telephone 01335 345551 or e-mail [email protected]. Hairdressing in the comfort of your home by Denise. Appointments to suit you. Salon quality. For ladies, gents and children. Tel: 07949 097189. Unisex salon with special rates for OAPs and students. Open Tuesday, Wednesday, Thursday and Friday 9 am to 5 pm. Saturdays 8.30 am to 5 pm. Late appointments are also available. 86 High Street, Rocester. Telephone 01889 590364. Unisex hairdressers, special rates for OAPs on Wednesdays. 47b Compton Ashbourne. Tel: 01335 3600691. Web design and digital marketing. Twenty years experience in building web sites and search engine optimisation. 10% off for Mayfield businesses. Visit jillstudholme.com. If you would like a daily delivery of fresh milk or eggs, ring K Gregory, Eyes Farm, Dove Lane, Rocester, ST14 5LA. Tel: 01889 590807, 07970 701 335. Back pain, neck pain, sprains, strains and rehabilitation. Waterside Business Park, Ashbourne. Telephone 01335 344952, www.ashbournephysio.co.uk. All aspects of tree work undertaken, including: felling, pruning, dismantling, reductions, dead wood removal, stump removal, storm damage, pollarding, hedge trimming. Tel: 01335 348395, http://www.jameskayarb.co.uk/, [email protected]. Hanging Bridge, Mayfield Road, DE6 2BN. MOT testing, tyres, exhausts, vehicle repairs, diagnostics, laser alignment, farm contracting. Tel: 01335 300734. Tel: 01335 300670 Mon to Fria 8 am to 5 pm. http://www.ashbournect.org.uk/. Mayfield to QUEGS daily bus during term time. Dial-a-Ride. Vehicle hire for local groups. Boiler servicing and installation, gas fire and cooker installation, central heating services, landlord gas safe certificates and emergency repairs. 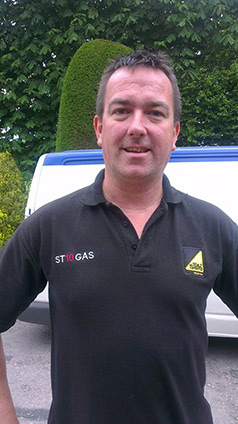 Tel: Bob Worthington-Harris on 07988 139 528 or visit the ST10 GAS website. "Excellent service - knows what he's doing - recommended"
Carpentry and Joinery, general home improvements, kitchens, PVC-u Fascia, guttering, windows and doors. All work guaranteed for 12 months. Tel: Colin - 01335 348883, Graham - 01335 347077. Kitchens, Bathrooms, Conservatories, Walls and Floors. Competitive rates. Tel: 01335 345978, 07753 678384. Hand made furniture including kitchens, bedrooms, cabinets. Oak, pine, cherry, etc. Contact James Howe, tel: 01335 347886. Airfield Industrial Estate, DE6 1LG. Belle View Road, Ashbourne, Tel 01335 342530/370166. Office and Chapels: 1 Moorland Drive, Mayfield. Tel: 01335 345120. 66a High Street, Uttoxeter. Tel: 564086. All areas, 24 hours. Home telephones: 01335 342005, 345184. Family owned funeral directors. 5 Union St, Ashbourne, Tel 01335 300205, www.wathall.co.uk. We are a newly established Pottery Studio in Ashbourne offering courses, workshops and membership amongst other things.